The Phoenix Law Enforcement Association will be hosting the Third Annual Phoenix Police Officers’ Ball on October 13, 2018 at the Arizona Grand Resort and Spa. 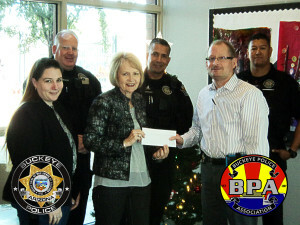 The purpose of this Ball is to bring the officers of the all the Arizona Law Enforcement agencies together to support PLEA charities as well as foster unity. Black tie event begins at 6 p.m.